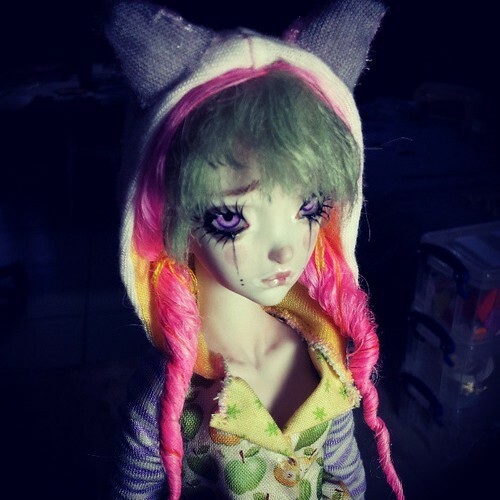 Doll is painted with permanent china colors and his body is all polished and blushed with the same paints that are used in ceramics and porcelains that resist scratches and will not fade. Intricate spiritual permanent engraved/painted all over his body tattoo with real 22K gold accents. 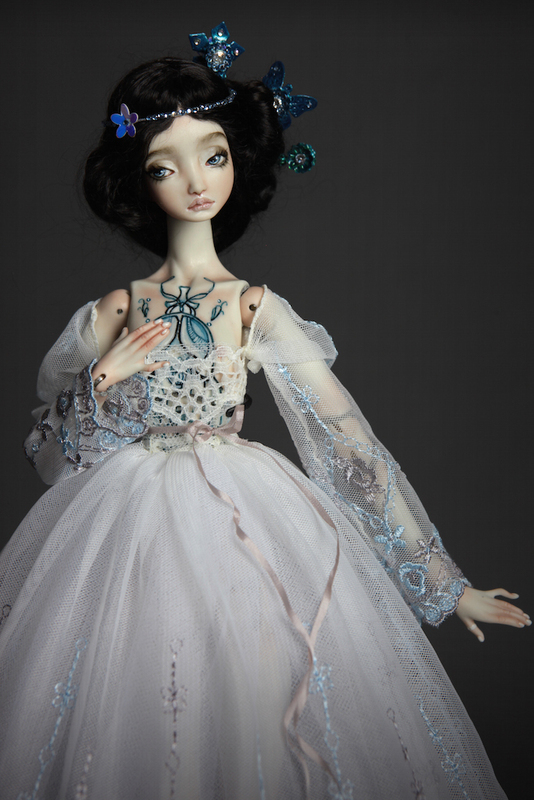 New Small Doll Collection available. 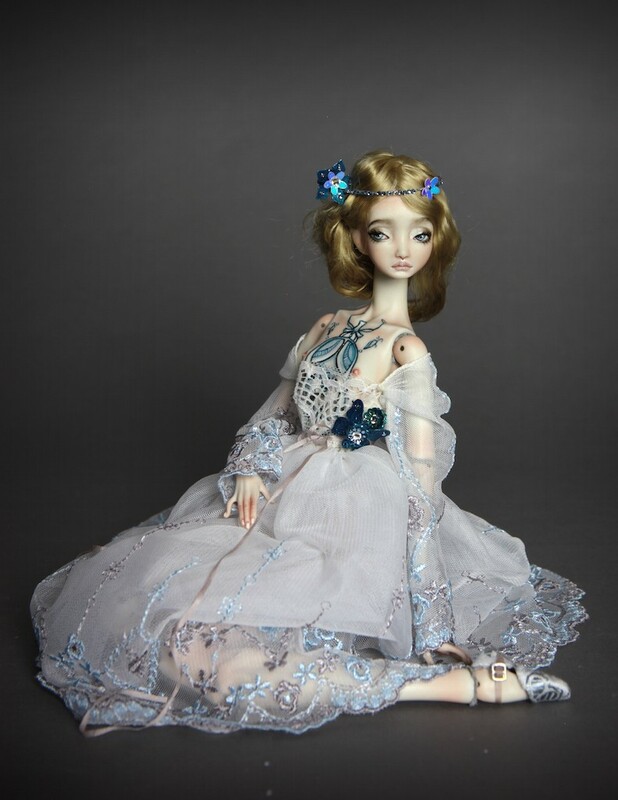 We have been receiving many requests for this small dolls for the past days that we though the best way to please everybody is to list them as auctions instead of regular buy it now to give the same chance of winning to all of our fans. 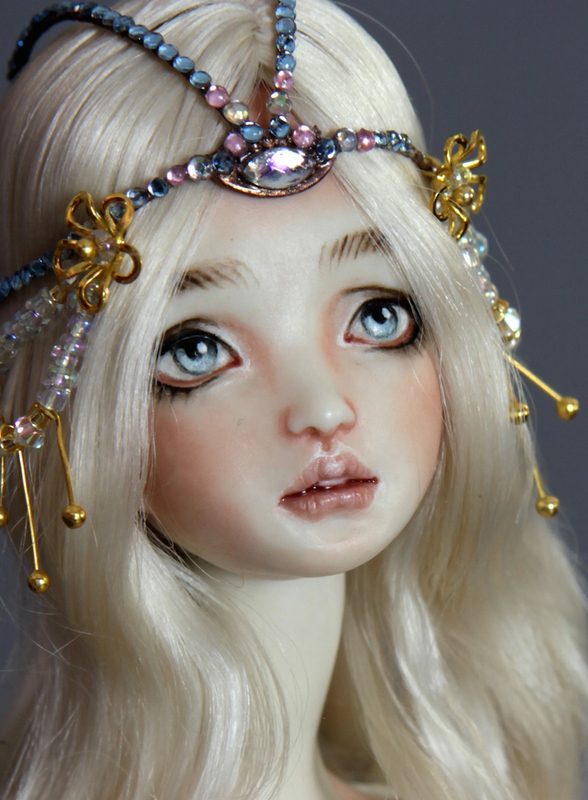 All this dolls have been listed on eBay as a 3 day auction listing. The auctions will start tonight, so keep checking. 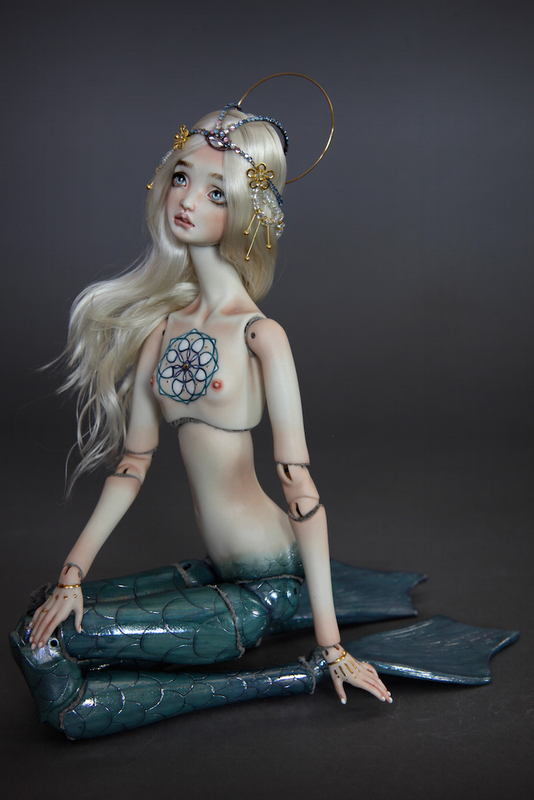 NOTE: We will be doing some fine tuning and mayor upgrades to our Fine Art Mermaid, Frog, Girl and Boy dolls. 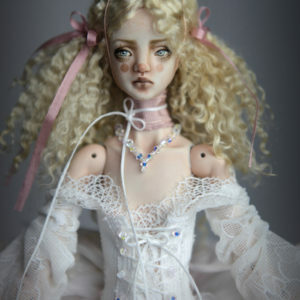 For this reason we will NOT be doing small dolls for a while. 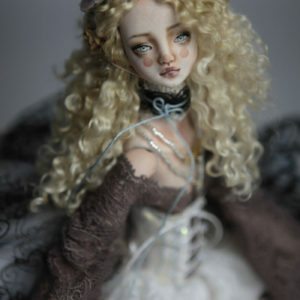 If you really want one of our small dolls, this will be your only chance for quite a while. NOTE: We are no longer accepting commissioned work. 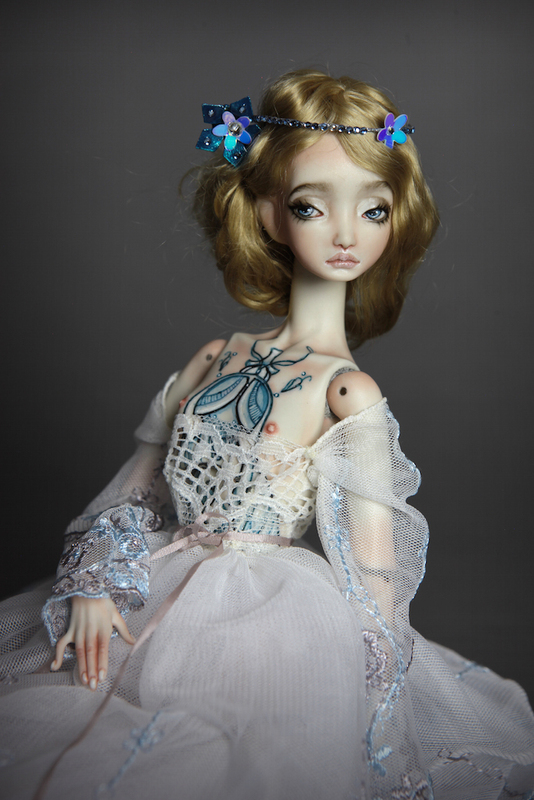 Luna , a hand engraved and tattooed porcelain ball jointed doll.